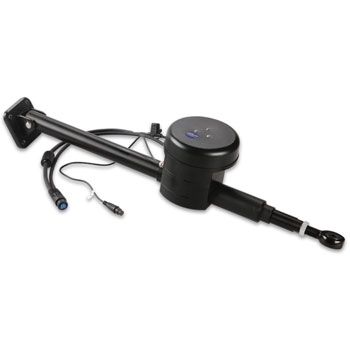 The Garmin Class A Drive for the GHP 12 or Reactor Mechanical Autopilot is designed to work on boats with up to 28,000 lb displacement. When paired with the Garmin GHP 12 or Reactor Mechanical Autopilot System, the Class A Drive Unit controls your sailboats steering system. Built with a hydraulic linear drive unit for sailboats with a displacement of up to 28,000 lbs. the Class A Drive Unit will work flawlessly along with the GHP 12 autopilot system.